Stop Freakin…Call Beacon 206.452.3130 for any type of sewer repair in Kirkland, WA. Since 1999 Beacon Plumbing has serviced over 165,000 residential, commercial and industrial customers here in the Pacific Northwest. If your home or business sewers are in need of drain repair then contact us for any sewer repair on your property in Kirkland, WA. Beacon Plumbing is completely licensed and capable of sanitary sewer installation here in Kirkland, WA. Sanitary sewer pipes are sized to carry the amount of sewage generated by the collection area. Sanitary sewers are a bit smaller in size compared to combined sewers which are designed to also carry surface runoff. Like anywhere else, sanitary sewers here in Kirkland, WA are operated separately and independently of storm drains, which carry the runoff of rain and other water which wash into city streets. Are your sewers clogged with grease & causing your sewers to back up in Kirkland? Beacon Plumbing 206.452.3130 is a family owned & operated sewer cleaning and drain repair business and we have serviced the entire Federal Way, WA community since 1999. If you own a home or a business here in Federal Way and your sewer drains are clogged up and backing up then we can help you with affordable local pricing on sewer cleaning in Federal Way. We are open 24/7 and provide complete drain repair & sewer cleaning 365 days a year. Each of our sewer cleaning and rooter trucks have a hydro-jetter on hand and any of our licensed plumbers are trained to remove grease, sludge, roots and other debris from your sewer line. In Federal Way all residential and commercial property owners are responsible for the sewer pipeline on their property. If we find that you property needs drain repair then we can generally fix it that same day. Having serviced over 165,000 customers in the Puget Sound region we are a full service sewer cleaning and drain repair company that is able to reach your Federal Way property generally within 90 minutes or less. We are a flat rate sewer cleaning and drain repair company here in the Federal Way community. We will tell you the cost of your drain repair upfront. So you don’t need to worry about any sewer cleaning project getting out of hand because our flat rate up front pricing protects you from any possible outlandish drain repair or sewer cleaning expenses. Since 1999 Beacon Plumbing has provided professional sewer drain repair in Maple Valley, WA. Beacon Plumbing was founded in 1999 by local area resident Bill Cahill. 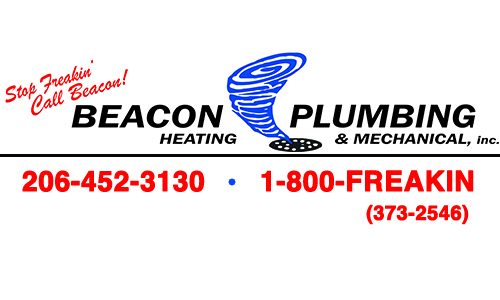 Beacon Plumbing has grown from 1 plumbing truck to a company with over 60 full time employees. To date our sewer drain repair company is the largest plumbing company servicing the Maple Valley, WA community. If your sewer drain is not draining properly and you suspect that your property is having sewer drain concerns then you will want to call the areas most experienced sewer drain repair company in Maple Valley at 206.452.3130. We aren’t only just a sewer drain repair company in the Maple Valley area. We also provide professional sewer cleaning services to all of Maple Valley. All of our sewer drain repair experts are also sewer cleaning experts and are available here in the Maple Valley area 24 Hours a day. We pride ourselves in same day sewer cleaning and sewer drain repair service. You can count on Beacon Plumbing for a number of reasons here in Maple Valley. We have serviced over 165,000 customers since 1999 in the Puget Sound region. Our sewer drain repair expertise also entails complete sewer pipe installation, sewer line locating and sewer line/ leak detection services. If you suspect that your sewer needs sewer cleaning or your are overly concerned that your lines might need sewer drain repair then Stop Freakin….Call Beacon! The #1 Sewer Drain Repair & Sewer Cleaning Expert in Maple Valley, WA! Are you facing possible sewer drain repair problems at your home or business in Tukwila, WA? Do not delay any longer at your property here in Tukwila, WA. Our sewer drain repair headquarters are right here located in the Tukwila community. We have serviced over 110,000 residential and commercial customers since 1999. We are proud to be true sewer drain repair professionals here in the Tukwila area. 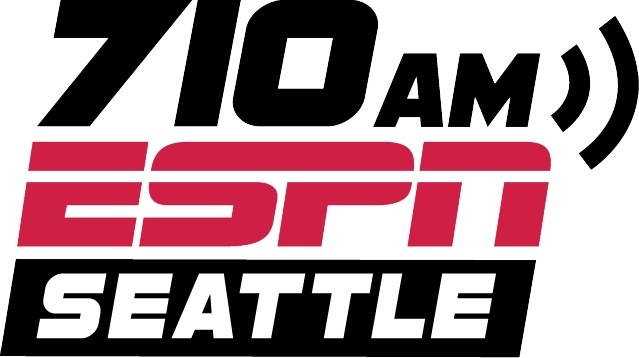 We have hundreds of commercial customers near and all around the Southcenter Mall area. If you have a restaurant, retail shop, or are a commercial property management company you can trust us for our same day emergency sewer drain repair service in Tukwila. We provide 24/7 Sewer Drain Repair support every single day of the year including all major holidays. Many residential and commercial customers continue to return for all of our sewer, plumbing, heating and drain cleaning services because of our 24 hour dispatch center. We are the largest sewer drain repair company centrally located near Tukwila, WA. We have all the professional drain repair equipment required to help you resolve your sewer problem on your property. Even though we are a large residential and commercial sewer drain repair company many of our customers are surprised at how competitive our pricing is. As a large company we have all the sewer drain repair resources that are needed to conveniently put your sewer drain back into a proper working manner. We are often times the fastest sewer drain repair company to arrive at your property and remain proud of our affordable rates. We are a flat rate sewer drain repair company which means you will know our price before we start and so as a consumer this puts you in the most secure position because if you don’t think our sewer drain repair pricing is reasonable you can find another sewer drain repair company in the Tukwila, WA region to help you.